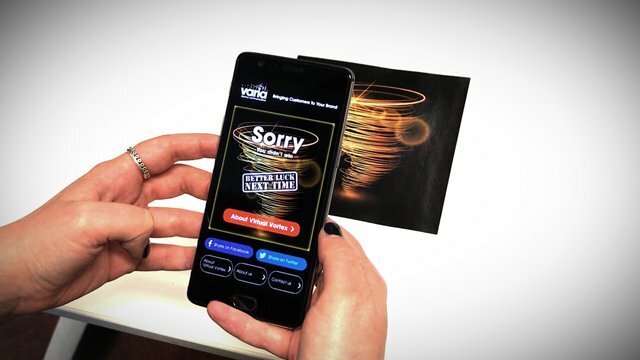 The Virtual Vortex AR App, in partnership with Varia Solutions, is a simple, scalable application, designed to capture consumer contact information. This considerably drives up the ROI of print campaigns, especially Door Drop and In-Store POS. It’s fully GDPR compliant, and is simple and easy to use. It can be made to integrate your brand, and can link back to your main website to drive sales. 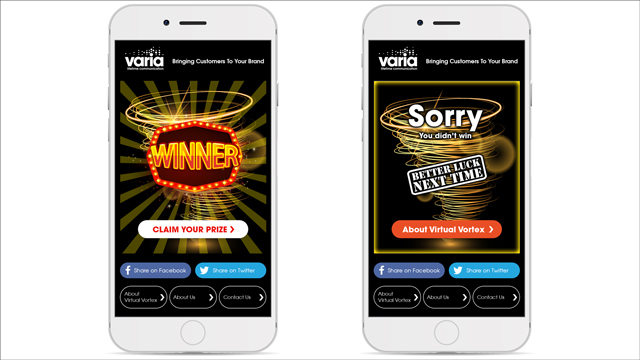 The Virtual Vortex can be applied to any print collateral, including Door Drop, In Store POS and Exhibition Stands. It uses a very simple mechanism to make sure the consumer gets a reward for sharing their information. Furthermore, because it sits on our platform, it’s a fraction of the cost of setting up a custom app. 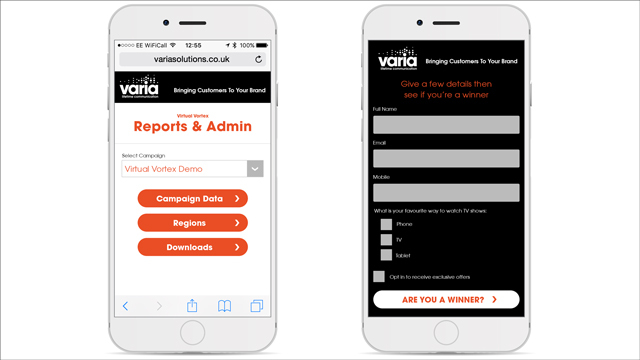 Virtual Vortex can integrate with your internal systems, including CRM, and has real time dashboard reporting so you can quickly see which geographical areas and demographics are working well. Do you have a product or service that would benefit from digital AR integration? Feel free to give us a call to discuss on 02071480526. Do you have a project that you would like to discuss?